Beowulf History of English Literature Picture of Contemporary Social Life in "Beowulf"
Literature of people springs directly out of its life. 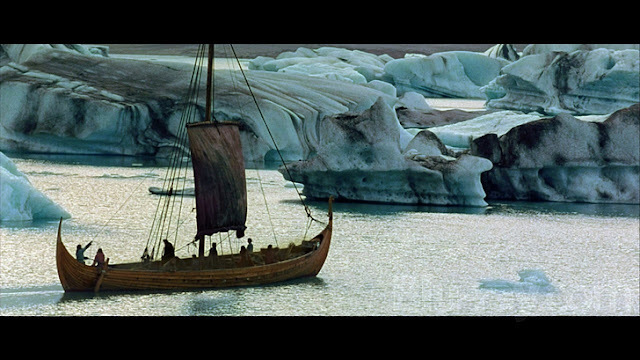 Beowulf which is considered to be the oldest surviving epic of the Teutonic people affords us a glimpse into the customs and traditions, philosophy and life-style of the heroic age of Germania which is also known as the Age of National Migrations. The scenic background is well-suited for the men. The people who are tillers and hunters were also compelled by circumstances to become fierce sea-rovers. Outwardly their life was a constant hardship, a perpetual struggle against savage Nature and savage men. Behind them were gloomy forests inhabited by wild beasts and still wilder men, and peopled in their imagination with dragons an evil shapes. In front of them, thundering at very dikes for entrance, was the treacherous North Sea, with its fogs and storms and ice. Yet, they love sea; and because they love it they hear and answer its call. dresses. Women spun the wool from sheep and goats to make thread. They used a loom to weave the thread into cloth. Clothing styles varied from region to region. For instance, an Anglican woman fastened her dress with a long brooch. Fighting, banqueting, and carousing are everyday occurrences. The warriors are devoted to, as a critic puts it, “glee in the hall and glory in the field”, and their possessions are gold cups and gold armour. A man’s life is more than his work; his dream is ever greater than his achievements; and literature not only scans his deeds but also the splendid things that he ever hopes to do. Those early sea kings were mixture of savagery and sentiment, rough living and deep feeling, chivalry and melancholy. They knew their limitations well and answered their problems accordingly. 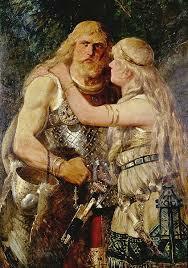 Beowulf, the graceful presence of Wealthow indicates the happy position enjoyed by women in society. 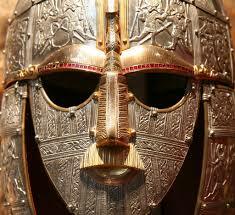 The men described in Anglo-Saxon literature are men of few words. They are brave and loyal, valorous and implacable. They were highly conscious of their heritage- hence the bloody feuds. Honour gives them the staff of their life, and this honour is chiefly won by physical valour. The philosophy of life expressed by the poem is powerful but not rejuvenating. Beowulf knows the day will come when fate will be stronger than himself. His Pre-Christian faith does not offer him consolations of heaven. But still he carries of the violent fight with the evil. For the life is not the bed of roses, rather the bed of thorns. Though full of Christian interpolations and Biblical references like the ‘Song of Creation’, ‘the Race of Cain, the dominating spirit of the poem is pagan one. The funeral described towards the end is also definitely pagan. Pagan element is also evident in the descriptions of feats and halls and in the belief in the inscrutable fate. The dead are cremated, omens are observed, sacrifices are vowed at the temple of idols. Though containing splendid pictures of the glorious life of the Heroic age, the poem gives the impression of having come out of ‘a cold cell in Northumbrian cloister’.